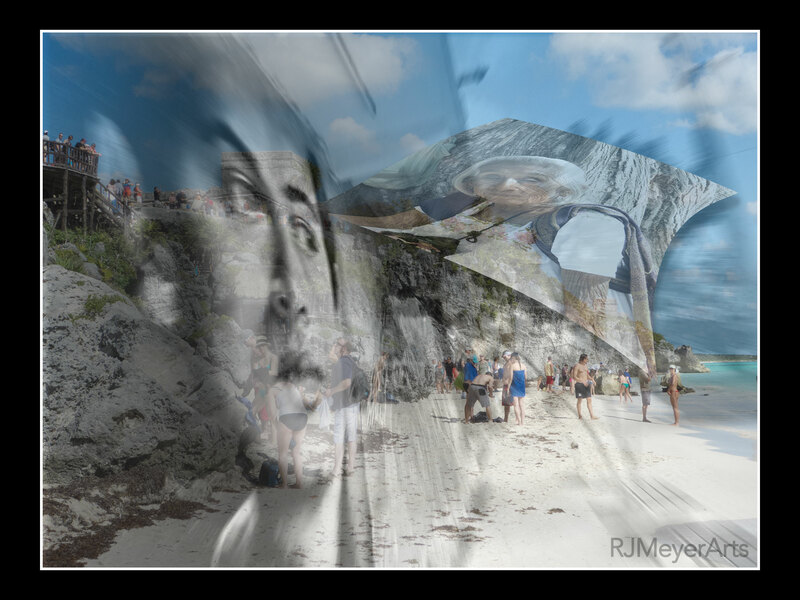 Blend of beach at the Tulum ruins near Playa Del Carmen, woman at the Chichen Itza archeological site and a wall mural located in Playa Del Carmen. 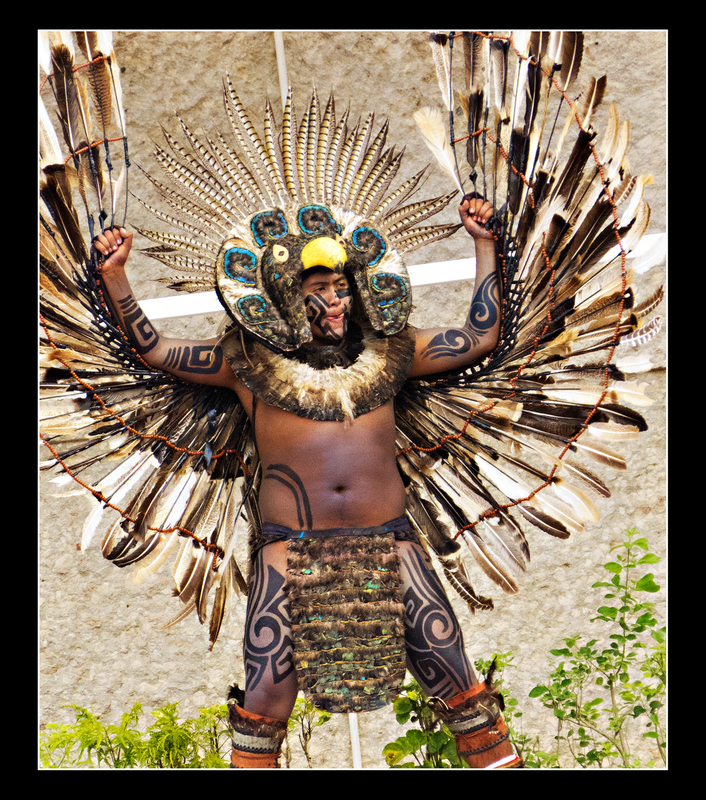 The history and legacy of the Mayan people also appear to be fleeting as tourism and beaches are the key to survival. It is well worth the time to tour the historic sites of Tulum and Chichen Itza with a knowledgeable guide to learn more about their interesting past. The history of the Mayan people is kept alive through archeological sites such as these. We each walk our own paths in life with a mixture of purpose, pleasure and pain. It seems as though we all “float” along in our journey with each step a temporary moment in time. Both images were captured on the Camino de Santiago in northern Spain. The two hikers are passing through while the floating image is farm woman in Galicia. As I write this, I’m thinking I should reverse these images. Hmmm…? Go ahead and show your “true” colors! 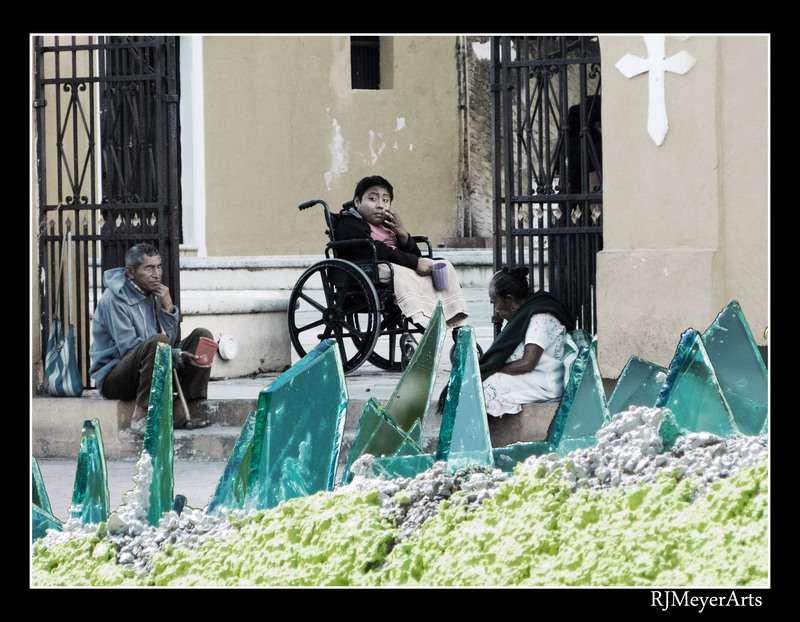 Life can be harsh for the disabled begging on the church steps of the Cathedral de San Gervasio in Valladolid, Mexico. This is the real deal and not a scam as the locals also give money to these individuals according to Mark Moxon’s Travel Writing. In turn, life can be harsh for the working class protecting their modest stucco homes and belongings with broken glass ledges in Playa del Carmen, Mexico.